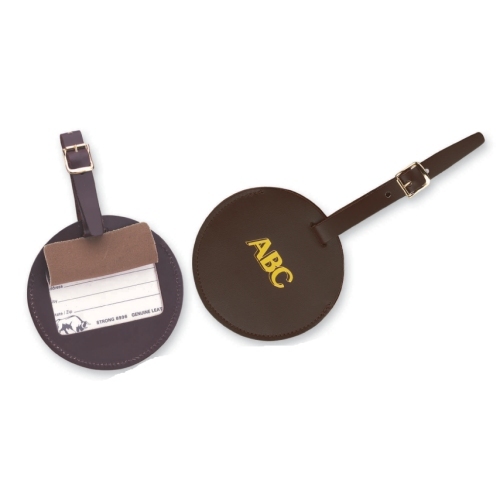 Round luggage tag holds a business card or ID, with security cover. Weight: Approx. 1 1/2 oz.